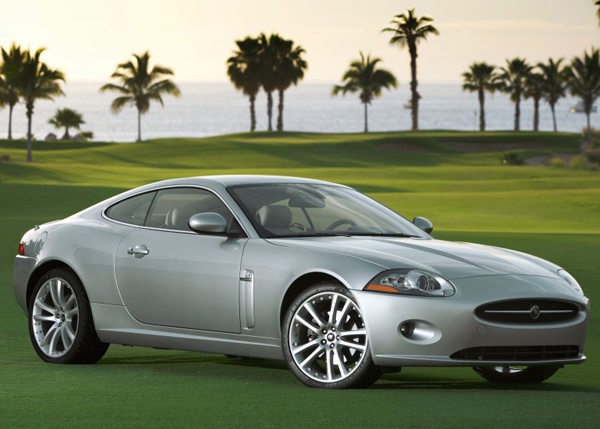 Jaguar XK is a prestige product - but should the government bailout its maker? I suppose that this blog might make me unpopular but, with Tata/Jaguar/Land Rover asking for a handout from HM Government, perhaps now is time to question whether state aid for motor manufacturers is cost effective and, indeed, whether motor industry finances make any sense at all. The amounts being talked about are enormous, considering the number of employees affected. If the object of state aid is to prevent unemployment, could it be used more creatively? The cost of developing a new car seems to escalate every year and the factories producing them employ fewer and fewer people as time goes by. By the time MG Rover collapsed in 2005 the Longbridge factory was employing 6000 workers, a far cry from the 21,000 who worked there in 1955. The amounts invested by BLMC (which creamed off the profits of Jaguar, Rover and Leyland Trucks to do so), the Government between 1975 and 1988 and BMW were mind blowing and yet, in hindsight, it might have been a more cost effective way of employing people by turning Longbridge into a shopping centre or a business park, which it now is. The old Morris Motors factory at Cowley became a business park in the 1990s. How many hospitals could have been built with the money that was pumped into Longbridge and Cowley? For a car to be successful it has to be profitable enough to recoup the capital invested in it and how many cars in this image conscious, ultra competitive world achieve this goal? How many car companies are propped up by numerous grants, subsidies and loans by states that fear de-industrialisation? Is there any real money to be made from motor manufacturing these days? Back in 1968 critics made much of the fact that BMC had something like 26 different model platforms when Ford UK had only four. The amazing thing is that BMC were able to develop 26 different models, produce them and remain profitable. Nowadays it could not be done. Instead of 26 different models from one manufacturer, we now have even more choice from even more manufacturers, from Europe, Japan and South East Asia. With the market so saturated and sales of individual models diffused, how can any one manufacturer generate the profit for a sustainable model programme? As I see it, any Government handout to a motor manufacturer, even if it is described as a loan, has no hope of being repaid. The current talk is of billions of pounds being invested here and there. Here is some food for thought as we approach Christmas. There have not been a million days since the birth of Christ. You’re right to criticise the long history of big spending by governments on the motor industry, but don’t forget that Wilson’s Labour government started the British Leyland mess by merging successful Leyland with cash-strapped BMC. Therefore they should have to pay to sort it out. It would have been better for Blair and Brown to have bailed out MGR in 2005. They were British-owned; JLR is Indian-owned. But they didn’t, and will they now bail out JLR? We shall see. Shopping malls sell other countries products, good or bad, which we have to import. We can only survive if we export or make goods. Designing only is a very limited option as China has more Gifted and talented students thean we have in TOTAL. We must increase our skill base in the short term, which is only aided by having manufacturing close at hand to aid the new designers. Its time people in this country realised that service industries such as banking are not the only ones needing protected JLR has been attacked more by this government than any other before and deserves some help. This governments constant environmental attacks on people who run SUVs and large cars is scandalous and lets face it is an envy tax,a they can swan around in them but the populous will not be allowed to. This has damn near killed the British market to them before the credit crunch. LIGHTEN UP ON THE ENVIRONMENTAL ENVY TAXES AND THEY MAY NOT NEED AS MUCH IN LOANS AND CERTAINLY HAVE MORE CHANCE OF PAYING THEM BACK. Also most Land Rovers and Jaguars have a longer life in service than most smaller cars ,is this not more environmentaly friendly? Long Live Jaguar Land Rover and thank you Tata for saving them from oblivion under Ford.Lets face it the sum required to help them is nothing compared to the situation the American giants require. We have a choice. Do we want high added value vehicles to be built in the UK; or do we want to import them – and the parts to make them – and the replacement parts – and the service manuals and tools – and so on and so on. When MGR went down people said “hey it doesn’t matter, we’ve got other great car makers like Peugeot and TVR” – where are they now? Jaguar are linked to the UK by tradition, foreign marques like Peugeot pull out whenever it suits them if Central Europe looks cheaper. If Jaguar went bust, they would take out UK suppliers, who in turn would no longer supply Nissan, Toyota, Honda, BMW – it would be a downward spiral. Besides, John “two Kias” Prescott just doesn’t sound right, does it? As we are just coming to grips with the fact that the idea of only relying on service industries is not working it might be a good idea to actually try and support our manufacturers, there’s not many left after all. I’d rather see money put into JLR than in the pockets of some bankers who got us in this mess in the first place. I was recently in the Jaguar assembly plant on business and the place is a gem do we really want to give it up when governments around the world are supporting their car manufacturers? They have a great product having recently come second in a German satisfaction survey winning for the car, ahead of Porche, and let down by a third place in service support! Whatever happens the German and French governments will no doubt support their car companies to the hilt. I can only hope we do the same after the debacle at MG Rover it would be the right thing to do. State aid is fine where a business case can be made for it but should not just be given as if there is a right to it. For the record I think a case could have been made to help out MG Rover in 2005 but things were very different then and Mr Brown thought he had ended boom and bust so it didn’t matter. As for JLR I wonder if they actually need the aid or simply do not want to be put at a competitive disadvantage to their continental competitors. reading the comments above i have to say that the british manufacturing industry as a whole was wiped out in many of our towns and cities under the thatcher years. in my home town we only have one company who actually manufactures goods all the rest are service based companys and could go out of buisness very easily a country which no longer manufactures goods for it’s self and relies on service industries is doomed to failure. the failure of our goverment to help mgr in 2005 is a prime example of our so called leaders short sightedness mg is back allbet on a very small scale in the uk who got the job’s they moved everything to china what a wasted oppertunity as mgr was producing some very good cars . 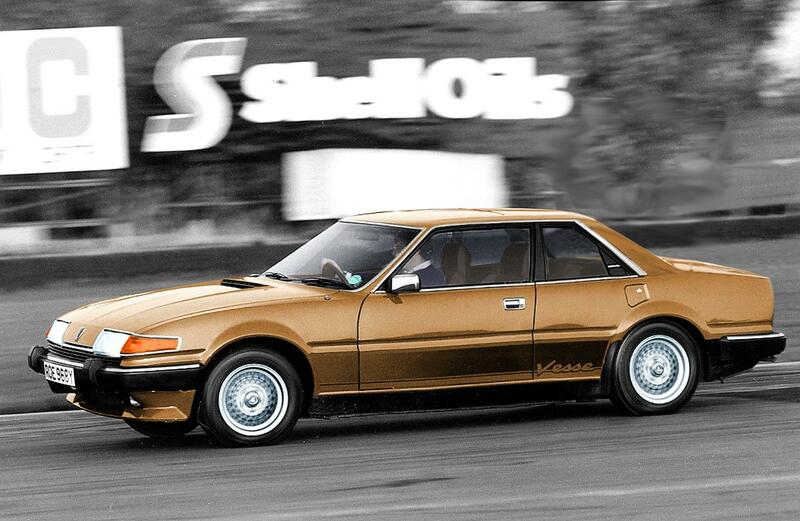 Blog : Rover SD1’s missed opportunities?